Do you want to do effective Email marketing without using any automation software and sending out a single email? Sounds strange, right? But, yes it is possible. 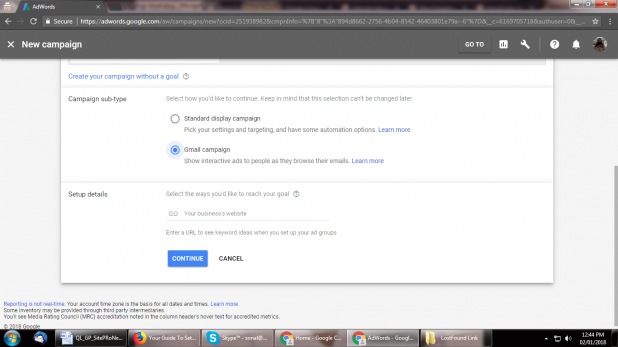 You can definitely target Gmail as a place to display your Google Adwords. Surprisingly, Gmail Ads (Gmail Sponsored Promotions) has been around for a time. However, to date Adwords advertisers have inadequately understood and infrequently used this platform. That’s a kind of shame because Gmail ads provide certain opportunities that don’t exist on the regular Google Display Network. Since September 2015, with the help of targeted Gmail Ads online advertisers have been able to target users natively within personal Gmail inboxes. 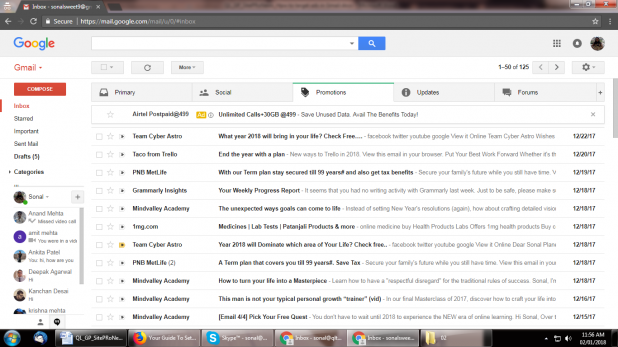 The targeted Gmail Ads appear on the “Promotions tab” in Gmail Inboxes as a collapsed teaser ad. 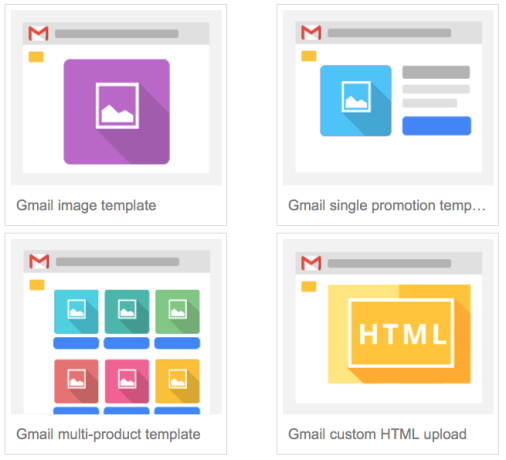 When a user clicks on that “Ad”, it expands to an email-sized space to reveal images, videos and/or embedded forms. 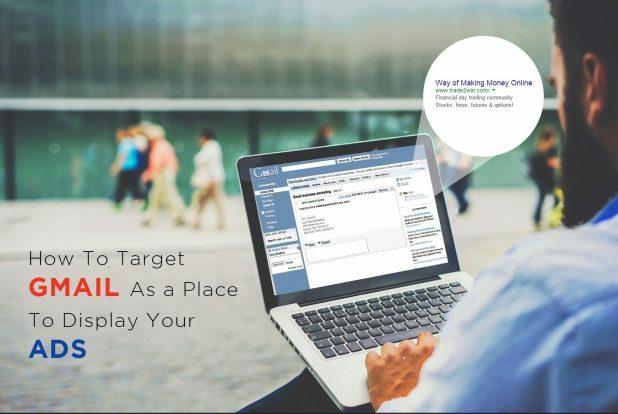 You can target your potential customers through Gmail Ads using many of Google’s display targeting options. These options include keywords, topics and demographics. Also, it is possible to target Gmail users who receive emails from specific websites. 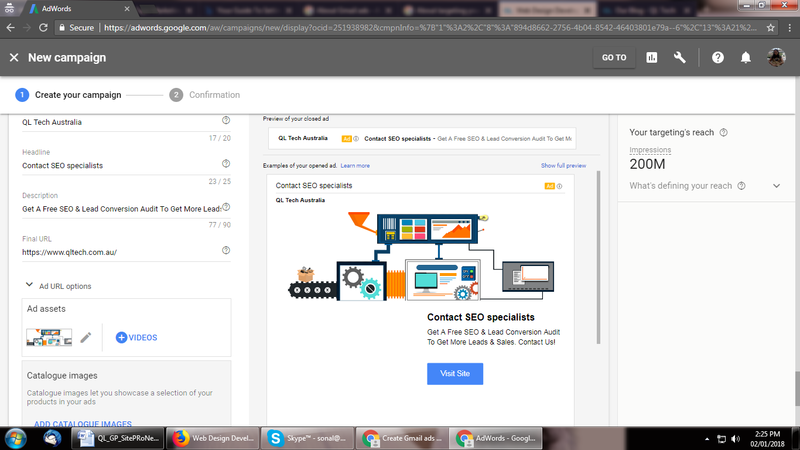 This can be done with the help of domain targeting. 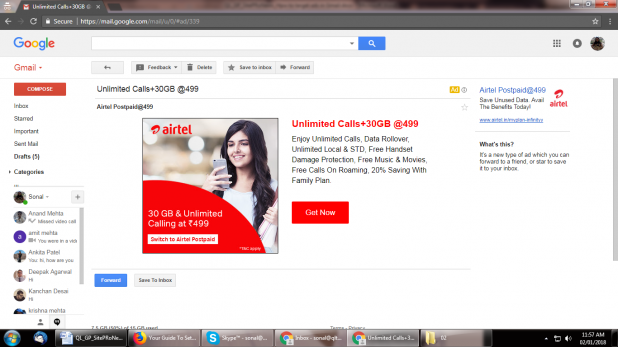 This is how you can target Gmail as a Place to Display Your Ads. 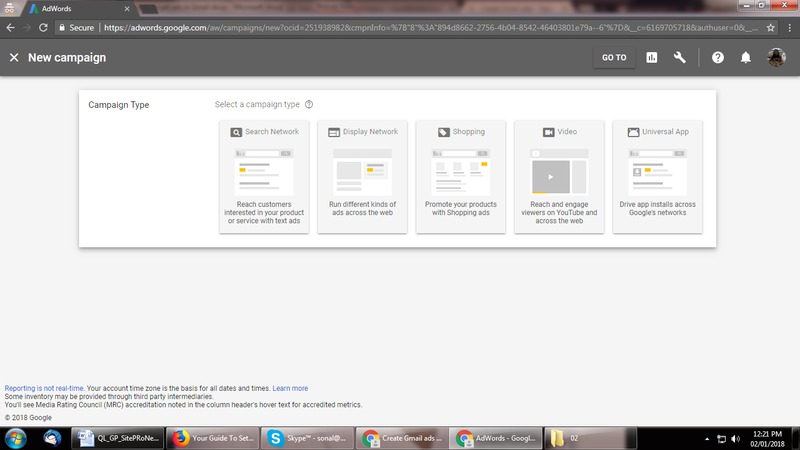 Sign in to your Google Adwords account and click on new campaign. You will get two options. Click on ‘Gmail Campaign”. Under your Gmail Ads campaign, you can create an ad group name. 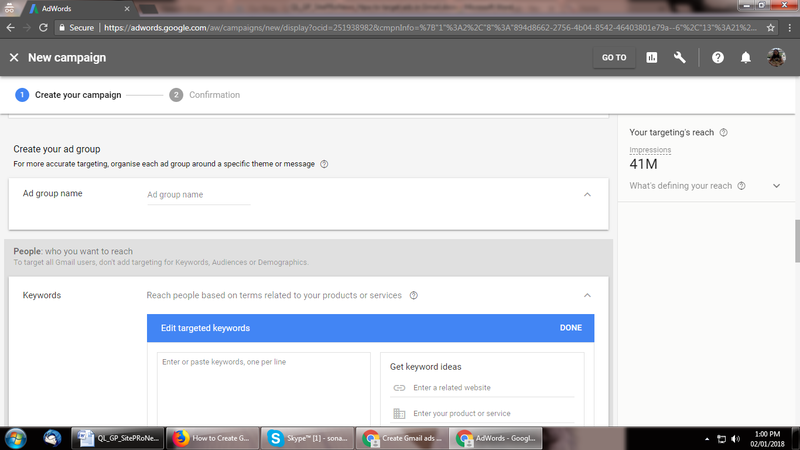 In Google Adwords, to target ALL Gmail users, do not add targeting for Keywords, Audiences or Demographics. And, if you want to target specific customers (based on your buyer persona), you need to select applicable tick boxes. You can enter as many keywords as you want. 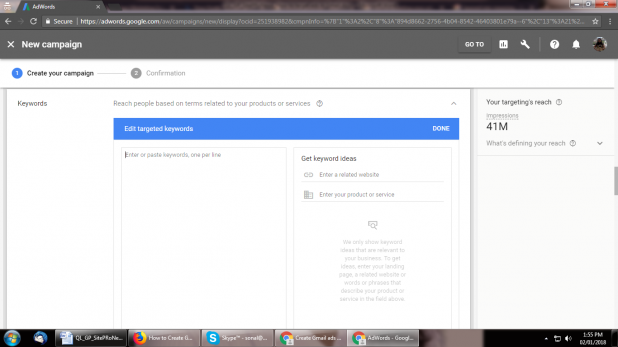 And, if you are unsure about which keywords to target in your niche, you can also get keyword ideas by entering a relevant website URL on the right hand side. If you are aware of the tastes and preferences of your targeted audience, this is the best parameter to get targeted traffic and generate leads. 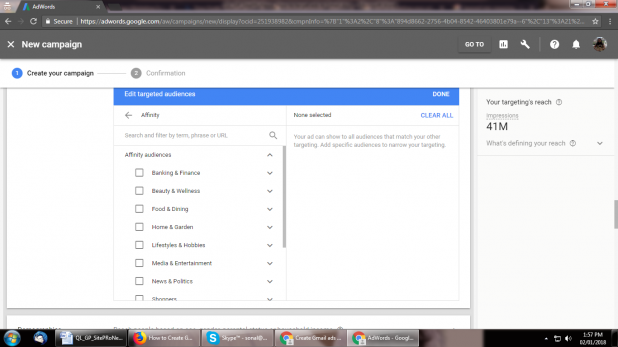 The option of “Audience targeting” lets you target ads to people based on their interests or the sites they visit. Note: AdWords may use data from your Audience sources to improve the bidding and targeting of your audience campaigns. 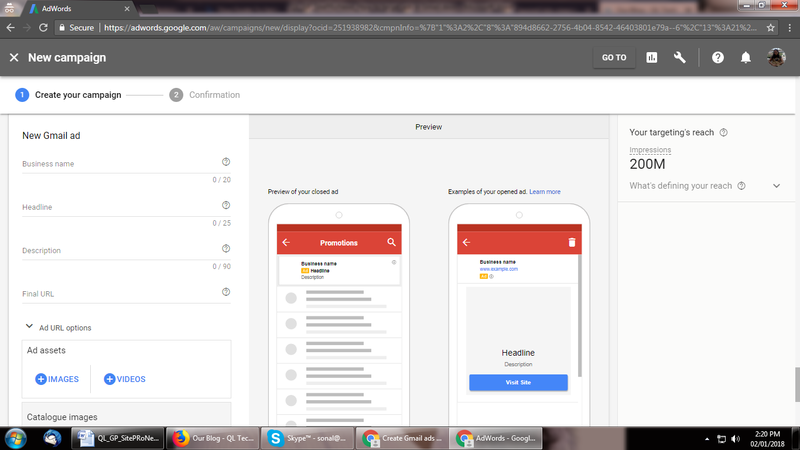 This option also aids you to create a message that is relevant to your audience depending on where they are in the funnel. 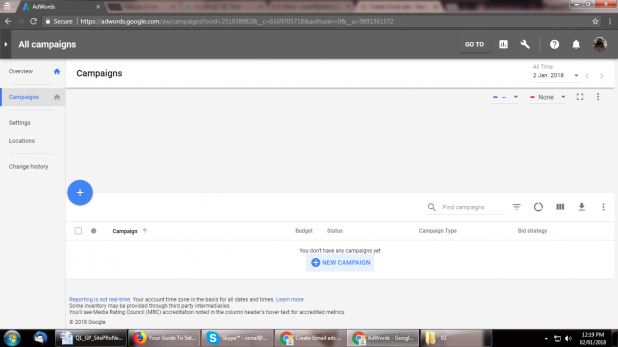 Quick Tip: Your ad messages should be different for cold audiences as compared to the one that is familiar with your brand and lies at the bottom of your funnel. 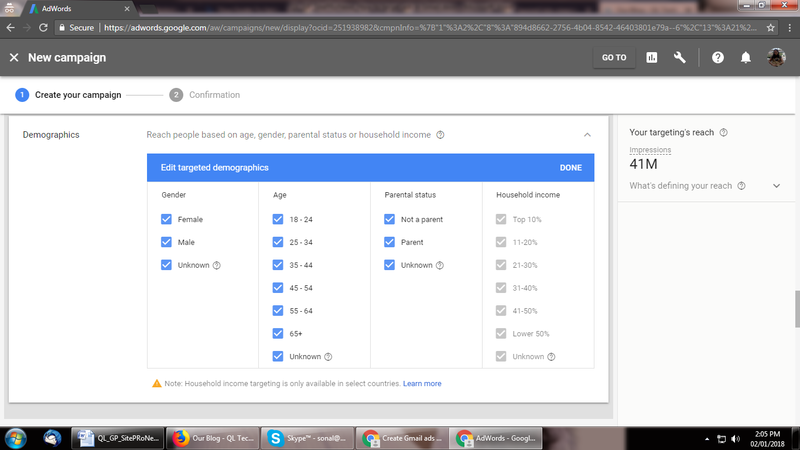 With demographic targeting, you can reach people who are likely to be in demographic groups that you choose. For example, if you run a beauty clinic exclusively for women, demographic targeting could help you avoid showing your ads to men. The filters include age, gender, parental status or household income. Note: Household income is currently only available in the US, Japan, Australia and New Zealand. The next step is to choose what kind of automated targeting you want. Automatic targeting results in new placements. Hence, it is appropriate for advertisers who don’t follow strict brand guidelines about where their ads appear. Note: Automatic targeting works for remarketing. Use conservative targeting when you want more conversions, but need to stay close to your current cost per customer (or Target CPA). 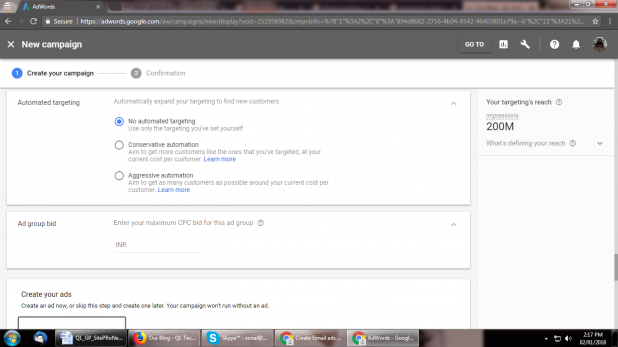 Use aggressive targeting when you want to get as many conversions as possible, and are comfortable with some variation from your current cost per customer (or Target CPA/ROAS). 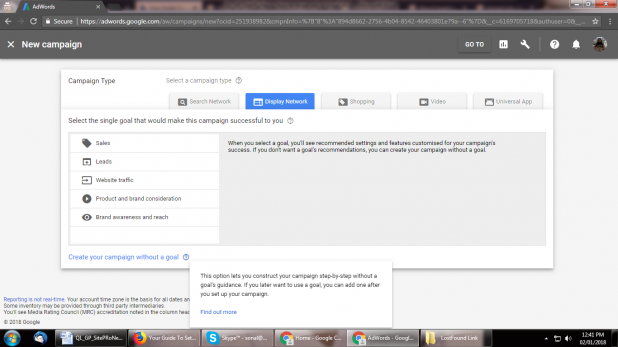 Once you have set all the parameters, NOW is the time to create an ad and view its preview prior to running a campaign for the selected period. Note: You can have three images and videos as well in your ad. You can either allow scanning of images from your website or upload from your system. Globally there are more than 1 billion Gmail users. And, according to Litmus Email Analytics, nearly half of all emails are opened on smartphones and tablets. 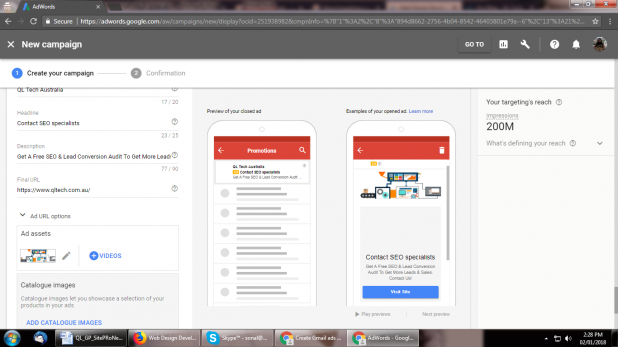 And that’s why, as a digital marketer, you should keep Gmail as one of your top options to display your Google Adwords. Give it a try!